used by sidney crosby during the 2014-15 season as the penguins captured their fourth stanley cup in franchise history. This stick was used by Sidney Crosby during the 2015-16 regular season. The stick was acquired by PenguinsChronicles.com ​​from a private collector on March 3, 2017. 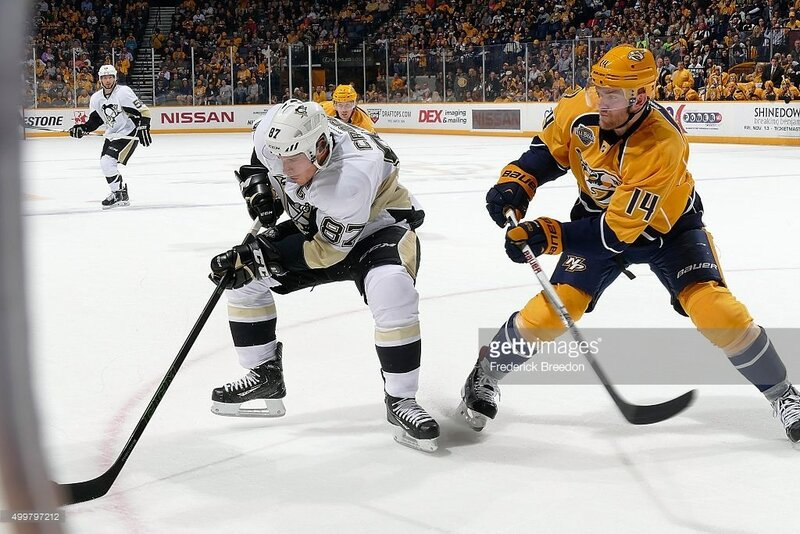 The stick was originally acquired from a acquaintance of Nashville Predators left wing Eric Nystrom. 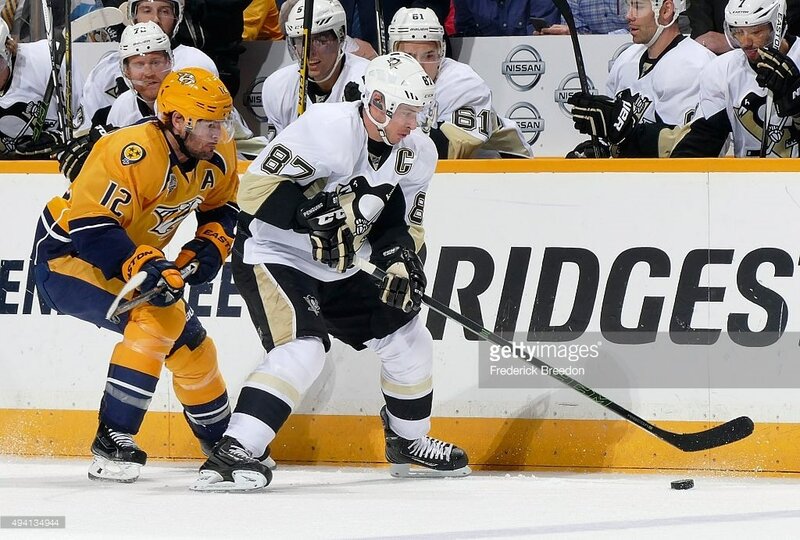 The Penguins played at Nashville on October 24, 2015, a 2-1 Penguins win. 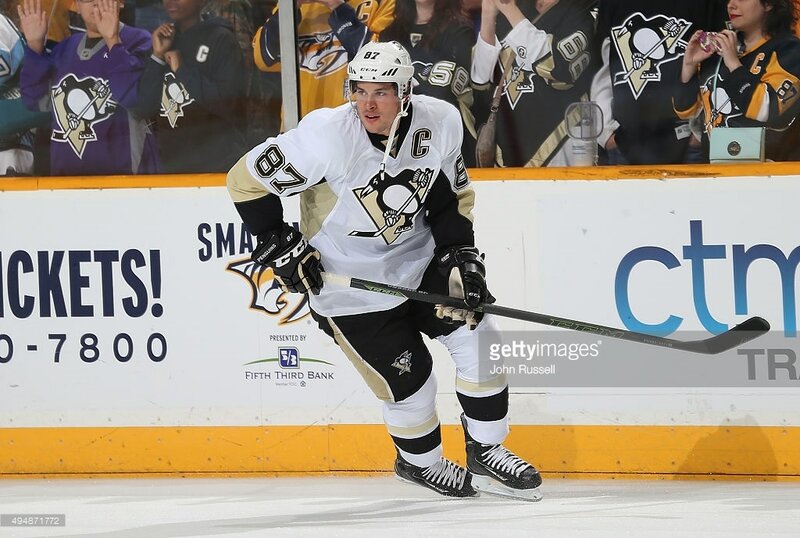 Crosby switched to a different model of CCM stick on November 7, 2015. 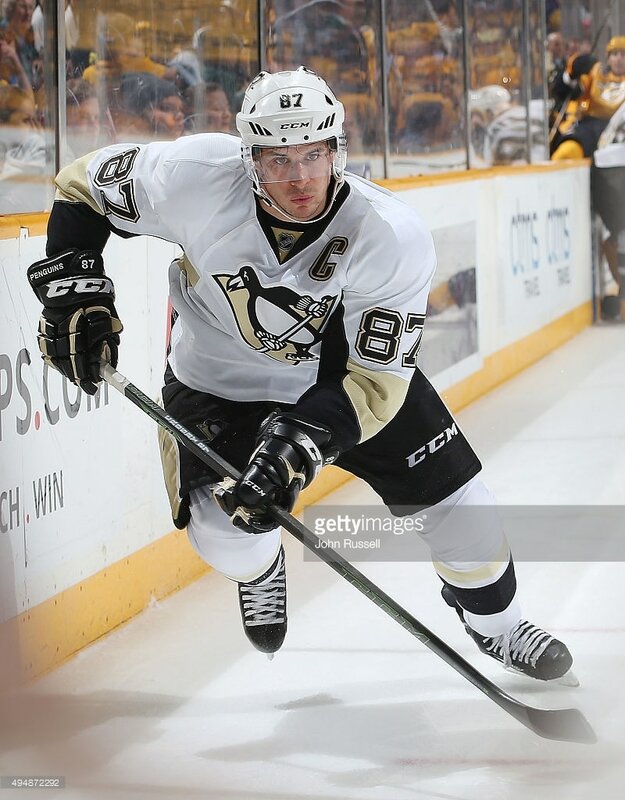 The provenance of when and how the stick was acquired matches the historical timeline of actual style usage by Crosby during the 2015-16 season.